The first Shelby with a handle. Run rings around your competition when you advertise on this 12 oz. 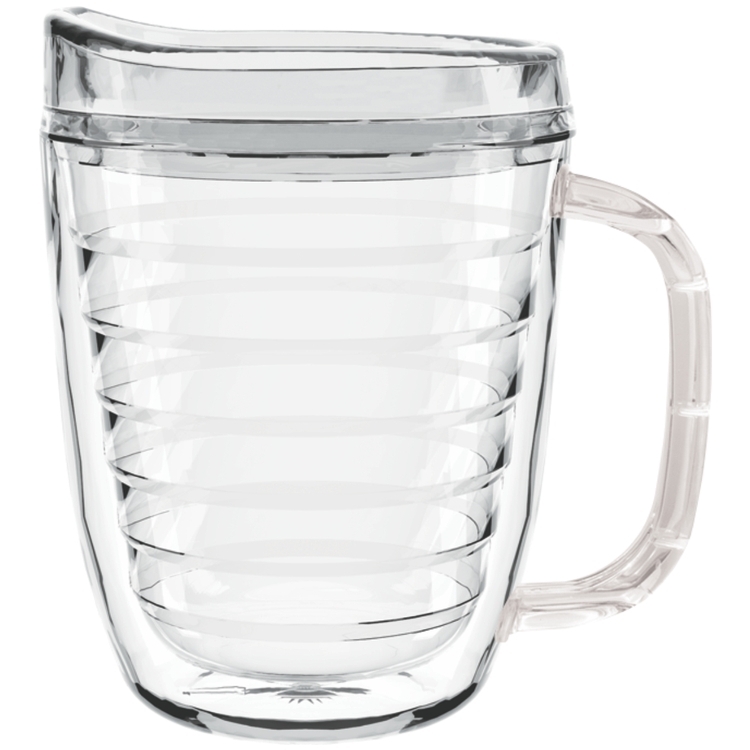 Shelby Clear Double Wall Coffee Mug. 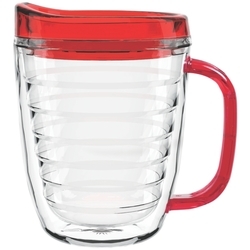 It's virtually unbreakable, top rack dishwasher safe, freezer safe, and microwave safe. It's also BPA free, FDA and Prop 65 compliant. Made in the USA, this mug has a LIFETIME guarantee and can be customized using one of three full color decoration choices. 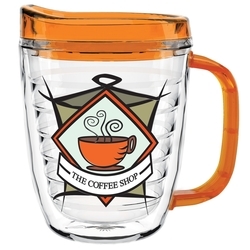 This style is decorated with a full color imprint on our clear insert between the inner and outer walls. 24 per case (17X13X12)/13 lbs. 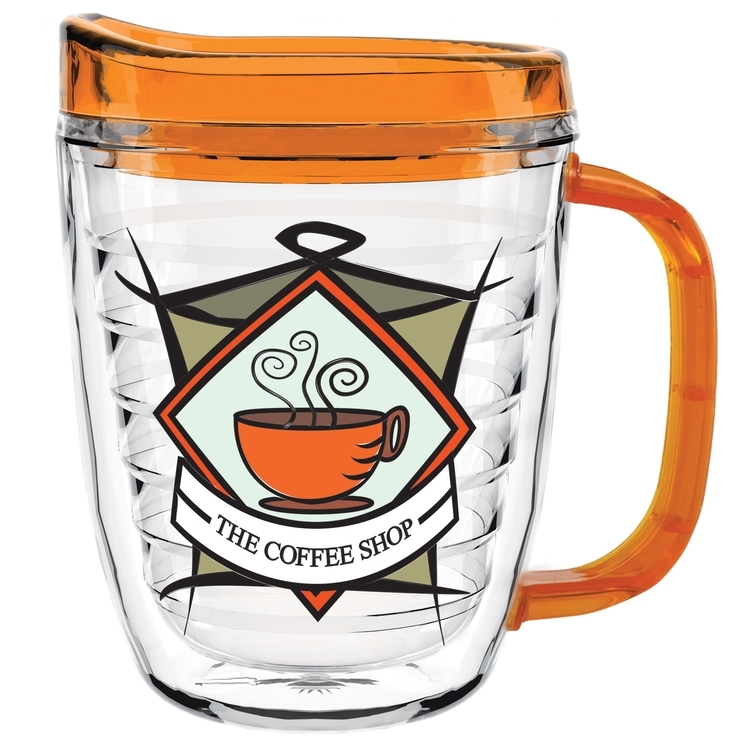 PLEASE NOTE: embroidered patch lead time is 20 business days after art approval.